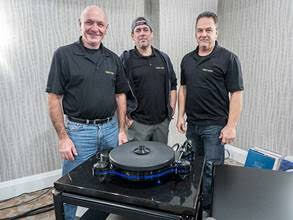 Esteemed turntable manufacturer Oracle Audio has been in business since 1979, making some of the world’s finest turntables in their Sherbrooke, Quebec, Canada production facility. 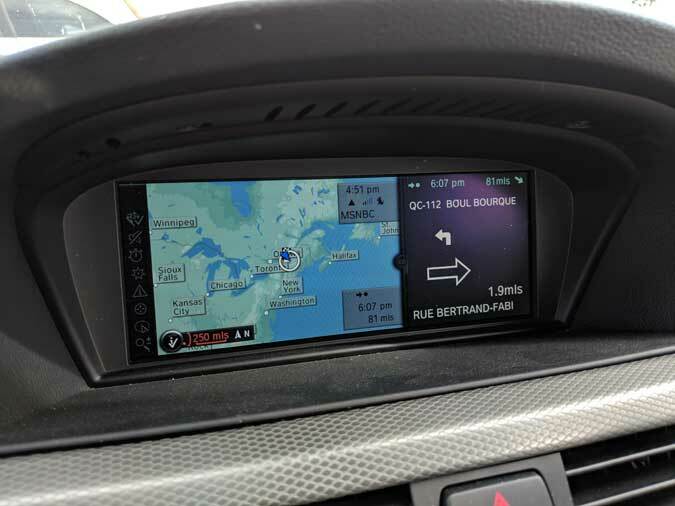 I recently took a drive to Quebec to learn more about the company and their products. 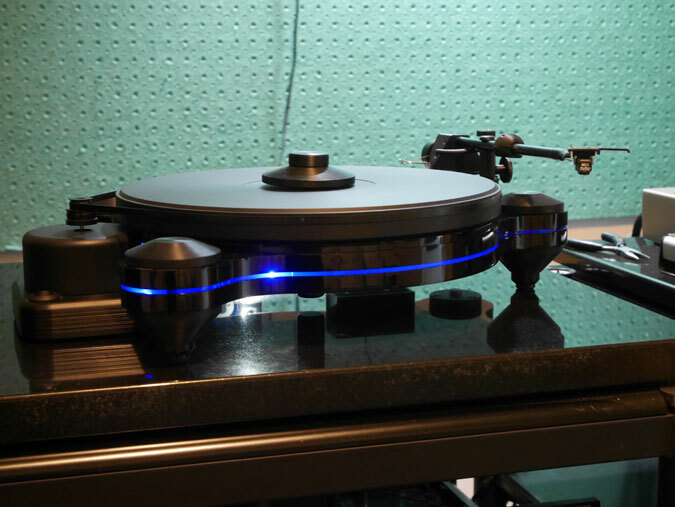 The esteemed Oracle Delphi is now in its sixth iteration and sells for over $16,000 US with an Oracle SME tonearm. 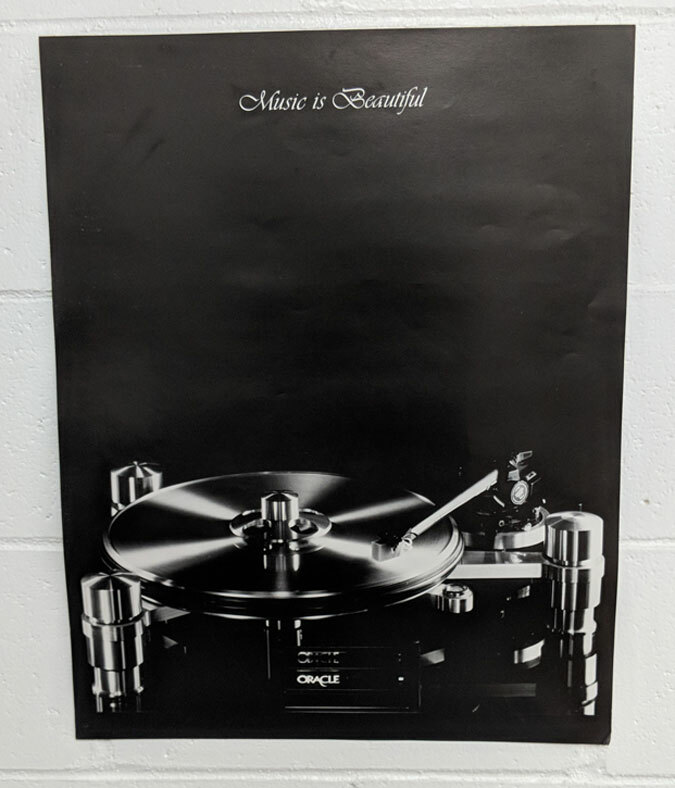 The Delphi is widely considered one of the best performing (and most beautiful) turntables in the world, and has been since its introduction. The poster above shows an early example of the Delphi. I saw several posters like this displayed around the Oracle facility. They are obviously proud of their heritage! 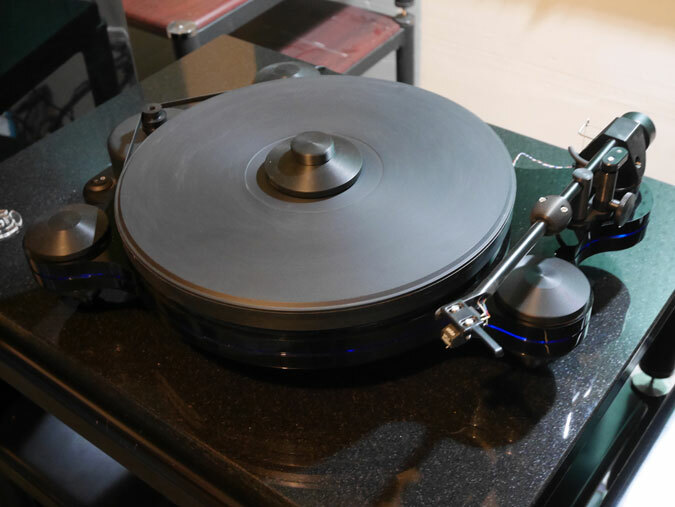 Oracle now has a turntable called the Origine that sells for only $2,350 with tonearm and pre-mounted Ortofon MC-1 Turbo high output moving coil cartridge. It was the Origine that prompted my visit to Sherbrooke to audition it and learn more about Oracle the company. After a warm and friendly greeting by Sales Manager Martin Levebvre, I was introduced to Product Designer and Co-Owner Jacques Riendeau, who gave me an overview of the Origine. Here we see the lovely Origine. 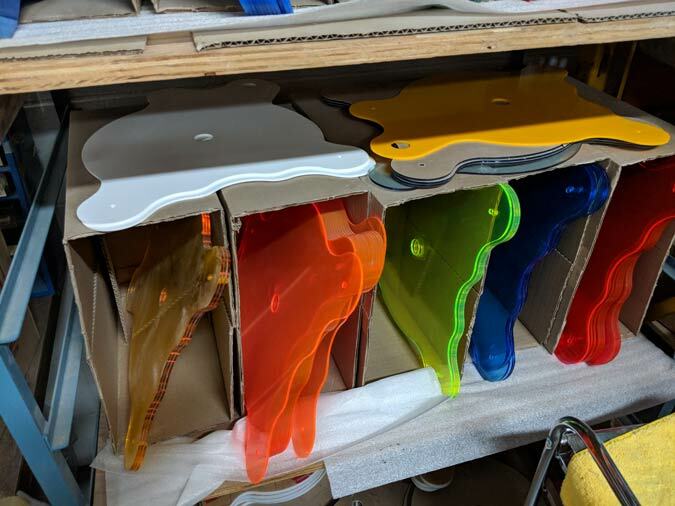 The colored insert in the middle is offered in many different colors, and can be customized by the customer, some opting for multiple colors for their turntable. 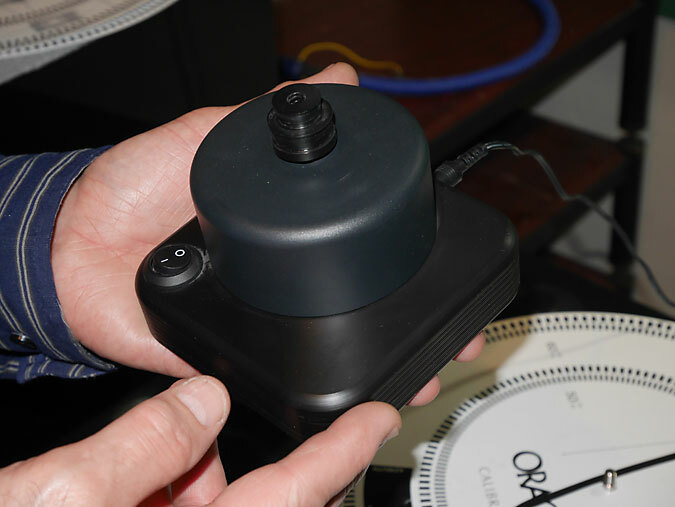 Inserts are sold separately as well so someone can change the color of their turntable after they purchase it. I was told the process is easy and takes about fifteen minutes. 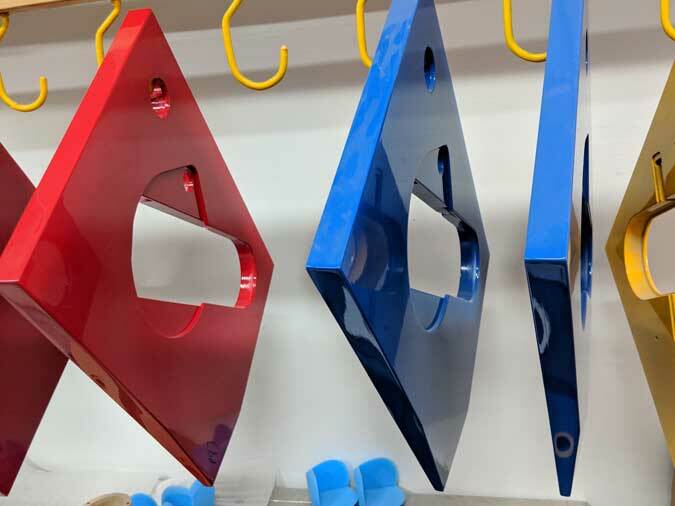 The colored acrylic insert can be illuminated from behind, providing a beautiful effect not unlike the user-selectable interior accent lighting found in modern luxury cars. 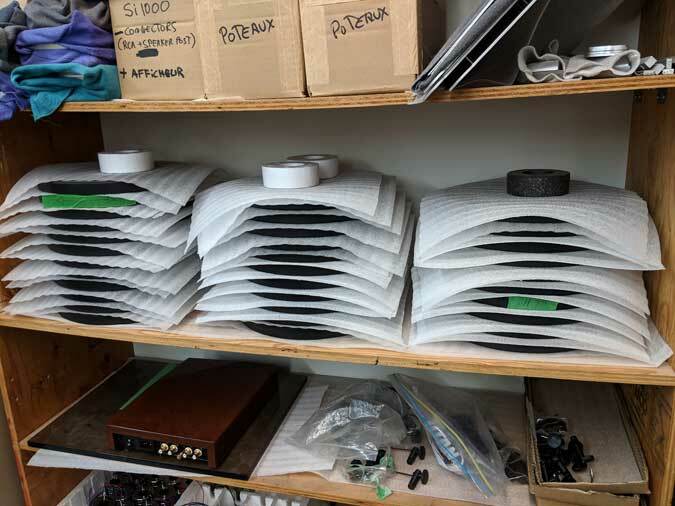 For now, Origine owners are setting up their own backlights, but Jacques is working on a factory lighting system that will draw power from the same power supply as the motor. 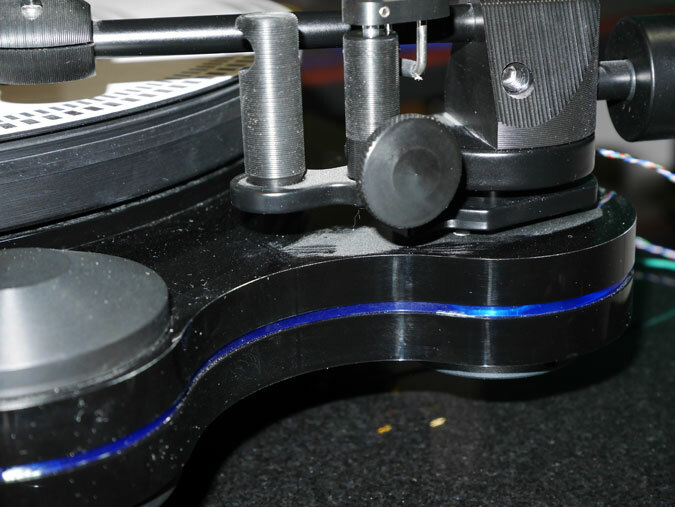 This top view provides a good look at the platter and tonearm. I was especially impressed with the finish on the platter, and a screw-down clamp is included. The tonearm is a critical component of any turntable system, and a lot of thought and clever design went into the Origine tonearm. Jacques was obviously proud of his creation, as he well should be. 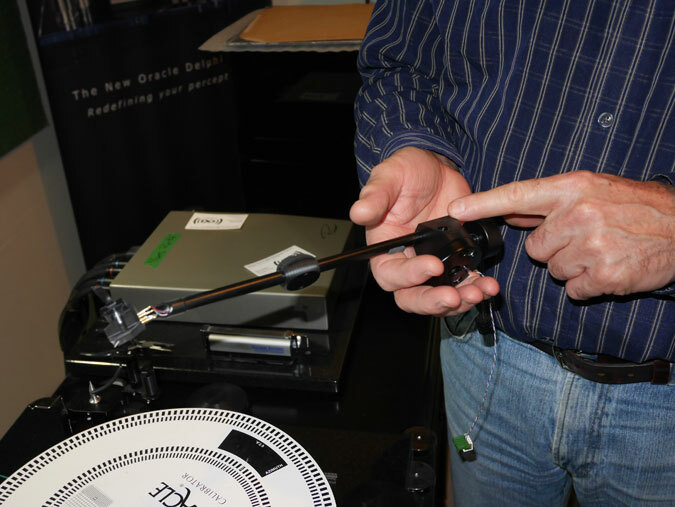 The Origine tonearm is a unipivot design. If you look to the lower left corner of the picture, you can see the shiny pointed shaft which is the pivot point of the tonearm. 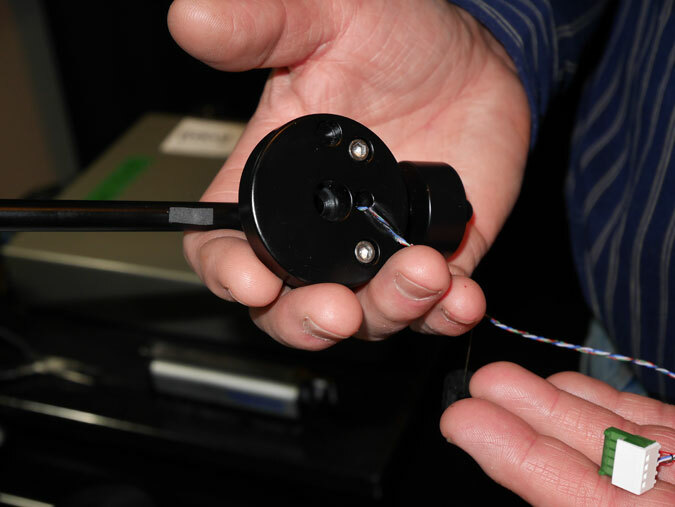 Here we see the pivot point of the tonearm, along with the wiring and connector. 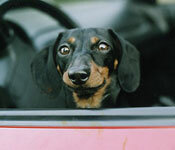 The motor is a separate unit so vibration is reduced. Changing speed between 33 1/3 and 45 is accomplished by changing pulleys. Now that I was familiar with the Origine and what makes it tick, it was time to take a listen. It is difficult to do a complete review when in an unfamiliar room, using speakers, electronics and a cartridge that are not my own, but I know it when I hear an excellent performance out of a turntable. As we sampled a variety of music I was very impressed with everything I heard, and the Origine and its tonearm are excellent indeed. Backgrounds are quiet, dynamics are excellent and the tonearm allowed the MC-1 Turbo to track everything effortlessly. I have experience with other Ortofon high output moving coils sharing the same basic cartridge shape (I have previously owned the classic Ortofon X1-MC, X3-MC and X5-MC) and while I enjoyed them very much, I never considered them to be the best trackers in the world. With the Origine’s excellent tonearm I never heard a single misstep or blurring of a single note, even on demanding percussion passages or deep organ notes. There was a nice sense of space, bass was very strong and well defined, and vocals well presented. The Origine certainly seems worthy of the $2,350 asking price, especially given the styling and cachet of the Oracle name. I have a more expensive AVID Diva II in one of my systems and could not help but wonder how they would compare, given the similar layout of the two turntables. If performance is comparable at half the price, it would be quite a bargain! After my audition of the Origine I was taken on a brief tour or Oracle’s production facilities. 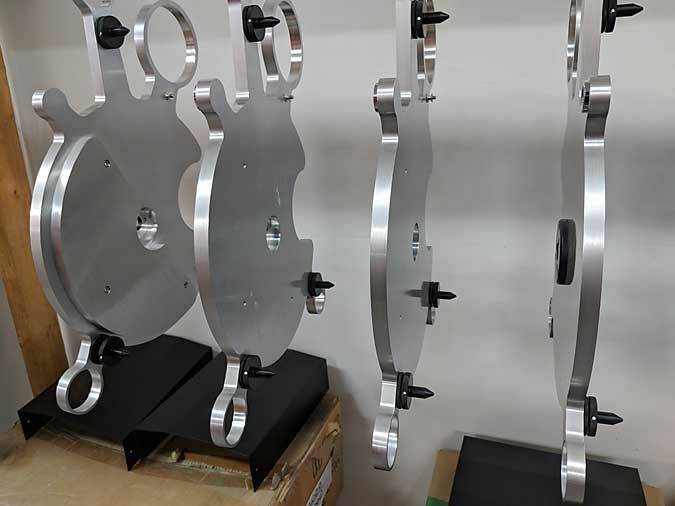 Here we see Delphi components after finishing, waiting to be assembled into turntables. Each of these pieces takes about six hours to finish. 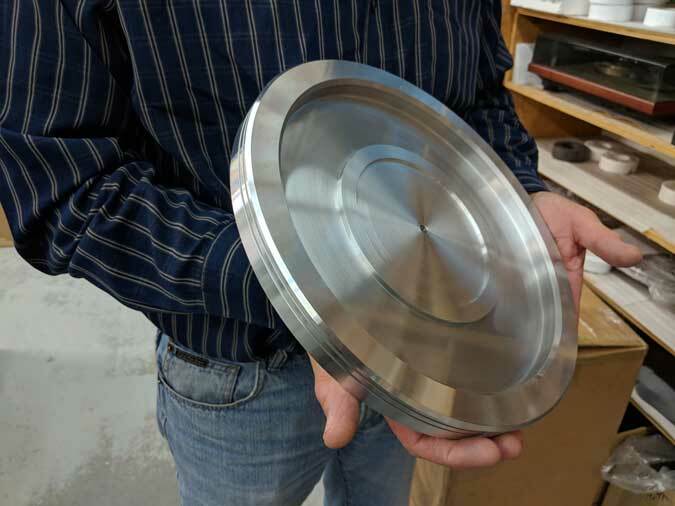 Machining and finishing a platter also takes over six hours. 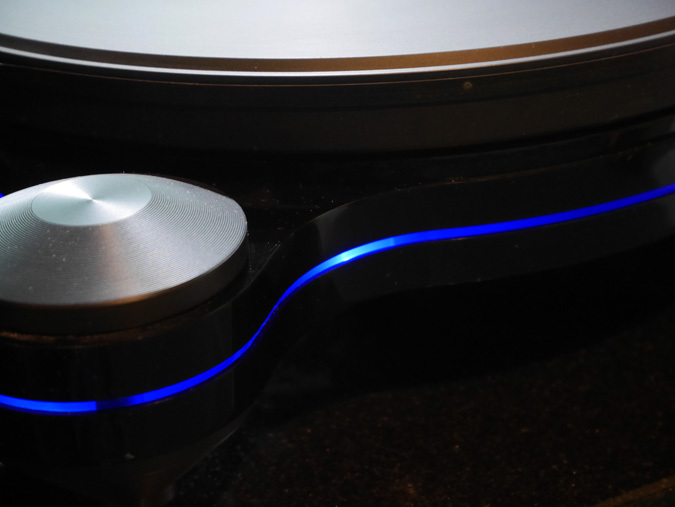 As you might expect from such an expensive turntable, the final result is absolutely jewel-like. 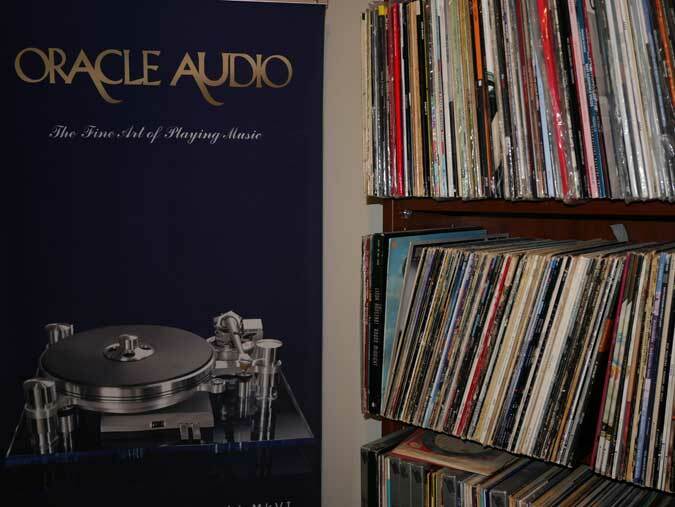 Oracle provides service for every turntable they have ever sold. This dusty first generation Delphi was found in a basement and sent to Oracle for rehabilitation. Oracle also does beautiful work with MDF. 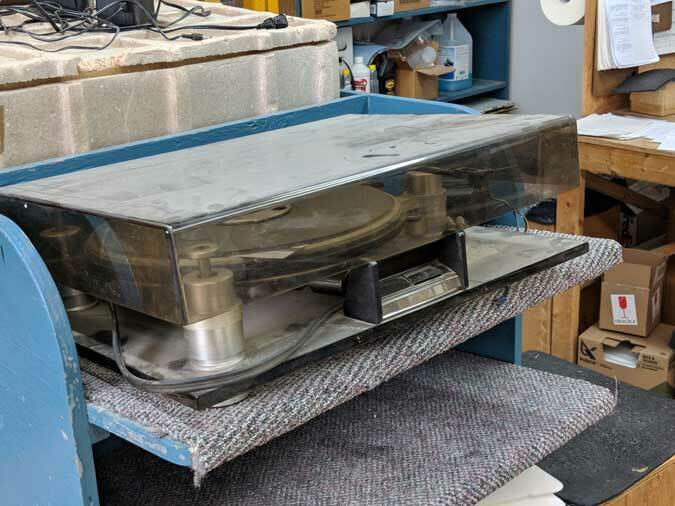 These Paris turntable plinths were just painted and polished, and the finish looked deep and lustrous. Actually, everything I saw during my brief tour showed the highest level of craftsmanship and artistry. Production of the Origine takes place on a separate assembly line. 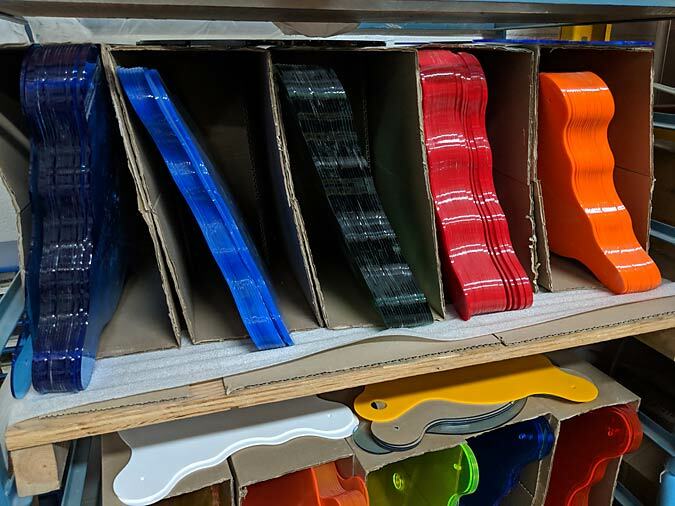 Above are some of the colored acrylic sandwich pieces, which allow purchasers to customize the look of their Origine. You can use multiple colors if desired. More colors. There are a lot of possibilities, especially since you can use multiple colors if you want. Maybe someday Oracle can set up a configurator like they do on car manufacturer websites, allowing customers to try different combinations and see what they look like before they order. Origine platters ready to be packaged. Speaking of packaging, Jacques showed me the tremendous efforts that Oracle takes to ensure their products arrive in perfect condition. 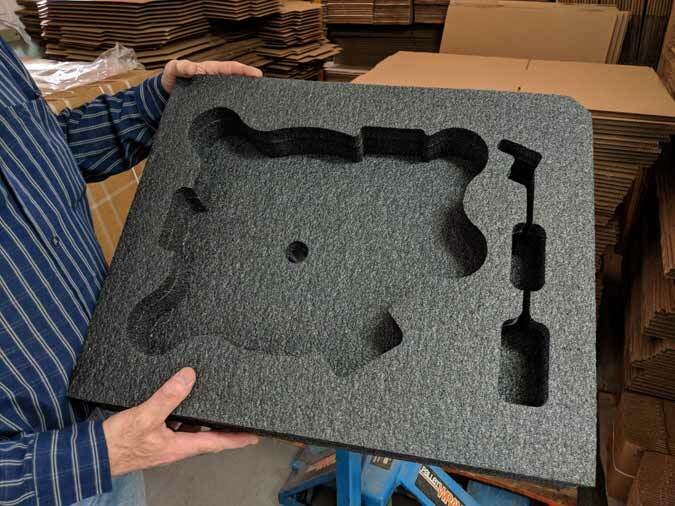 I have never seen such perfect and thoughtful packaging for any turntable at any price. 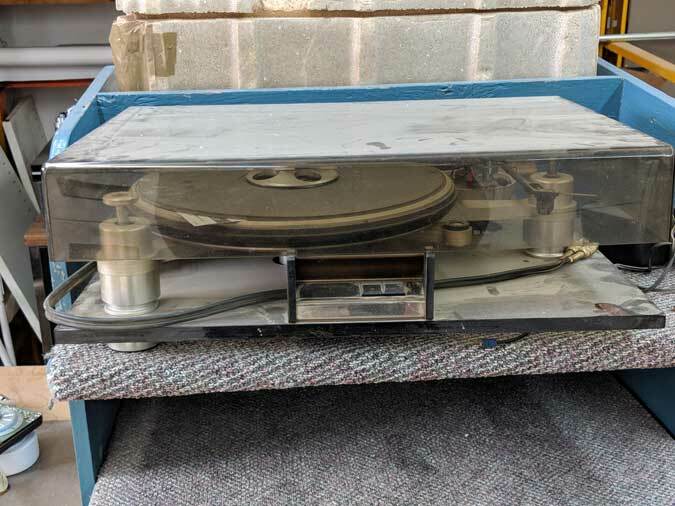 I can tell you from experience that turntables are one of the most fragile and finicky products you can ever ship, and I have purchased some of the inexpensive turntables I have reviewed just so that I would not have to ship them back. 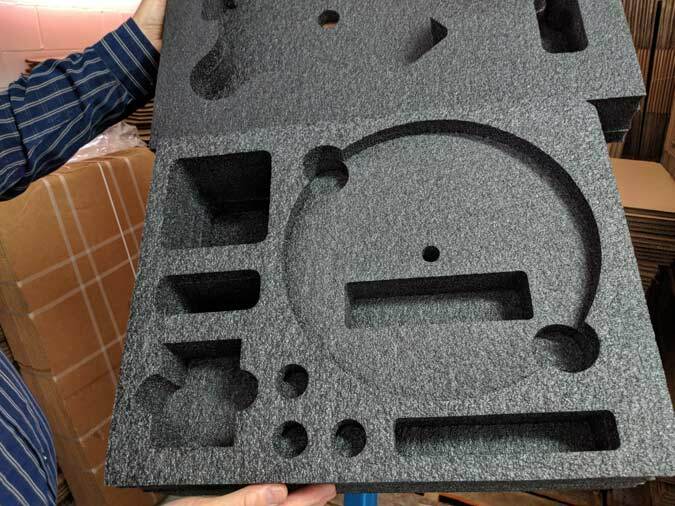 With Oracle’s thoughtful packing I would not be afraid to re-ship an Oracle turntable. Besides the logical layout, Jacques said their packing is designed to be dropped from four feet in the air and still protect everything inside from any damage. Very impressive!